The thing is, this is all fine and well, but it’s a bit of a pig to actually get this data when you need it, or in an automated way. Wouldn’t it be better if we could have something easier? 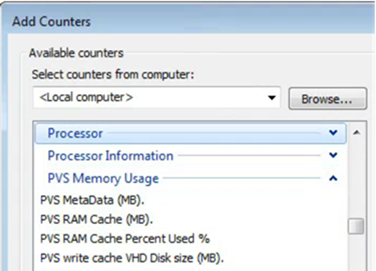 Lately, Andrew Morgan and I decided to sit down and create an easy to use, Windows performance counter for the key metrics in a PVS cache and provide them to the community for use. These counters turned out to be fascinating, as they really show how the cache works. * As there is no accurate way to detect how much ram is assigned to cache via Citrix Provisioning services, this value must be provided or this performance counter is missing. The Service on start-up will check the cache type and if correct, the counters will be created an update every 500 MS. On service stop, the counters will be deleted. Simple stuff. These counters are available in library form, should you wish to implement these counters in your own monitoring solution. Please reach out directly If you would like them. 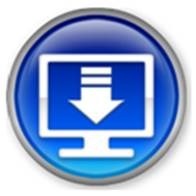 You can find a download link here. 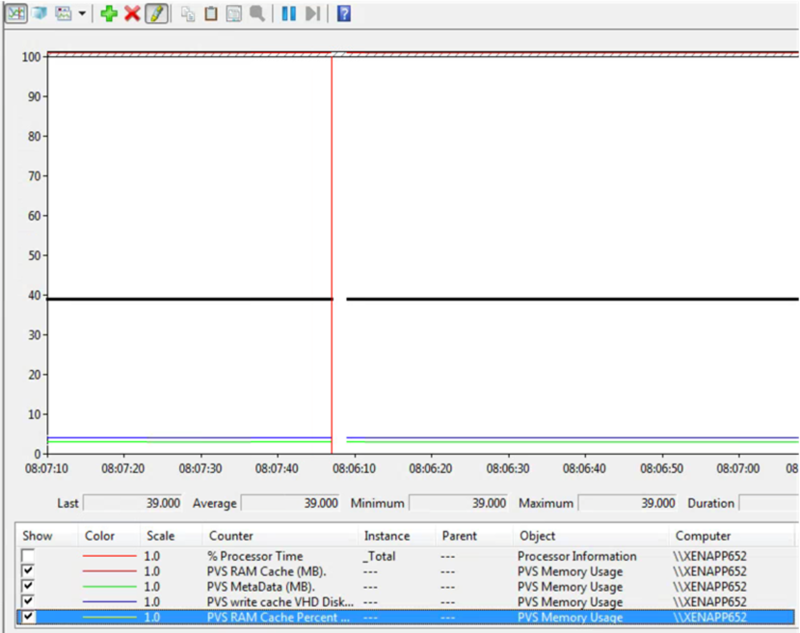 6 Responses for "Citrix PVS RAM cache size Performance Counters"
Any chance the monitoring interval is programmable? For our usage this tool is great, but we really wouldn’t need something that checks every 1/2 second, once a minute would suffice for our purposes. This looks awesome- can’t wait to try it out. The polling interval is set in this way as performance counters will (when observed) tick every one second. If you find that there is a negative performance impact (I didn’t see one in my testing) let me know and I’ll update it to allow it be tuned. Hi ! On https://www.remkoweijnen.nl/blog/contact/ i get this message: Contact Form Shortcode Error: Form 1 does not exist. 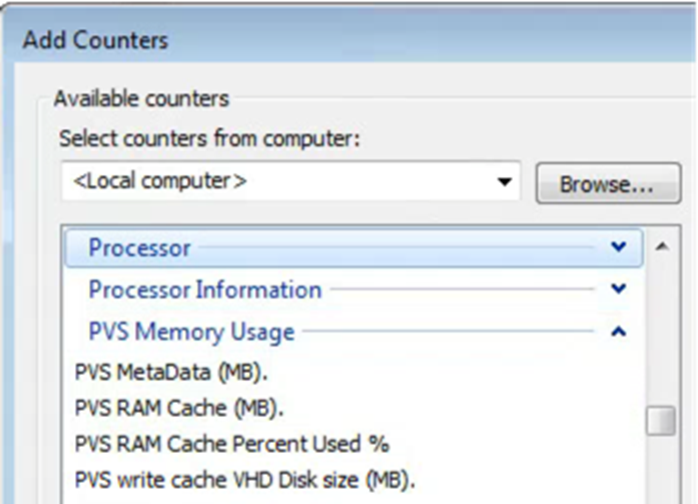 Great idea with Citrix PVS RAM cache size Performance Counters. 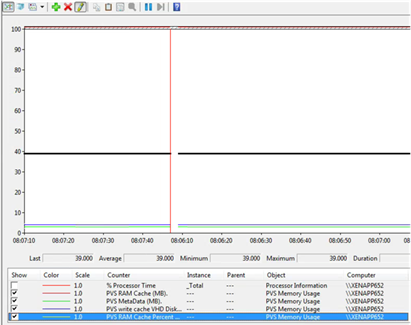 After installing, adding reg-keys and starting the service PVS Memory appears as performance counters but PVS Memory Usage is at 0,000. Do have any idea? Hi Joe, thanks for letting me know about the contact form, I’ll look into it! Re the performance counters -> what PVS version are you running?